After working in information security for many years, we’ve come to understand that change is infosec’s only constant. Systems, people, and the secure state of your company, the network, and its data are always in flux. What follows is a list of the best advice from security gurus, network administrators, and those responsible for securing company information. The lessons were passed down to them from real-world experience, a supervisor, an industry colleague, or in one case, a complete stranger. “I don’t know anything about what you do, for all I know, you are doing your job perfectly, but you have disabled my ability to do my job,” said a company executive to Stewart Allen, now an Information Security Consultant at Metrolinx. Allen admitted he initially ignored the comment, but it played in his mind for weeks until he came in one weekend and rewrote the entire firewall policy to enable business flexibility while still keeping data secure. Tip #2: Work with people. Don’t fight them. “Technology has come to a point (almost) where the employees don’t need the IT department. So the security professionals are fighting to keep the employees in and it is like trying to hold a handful of water. They do what they want to,” realized Kevin Jones (@KevinDJones), Social Media Strategist for NASA/Dynetics. “Working with the people” means understanding users’ motivation and behavior. “What’s the reasoning behind why they do what they do,” said Jones. It’s not easy to come to agreement, admitted Jones, who has taken months to work with security in partnership to take down the walls, understand the user more intimately, and thus change the traditional security perspective. Echoing the need to understand users’ motivations, Daniel Blander (@djbphaedrus), President of Techtonica, Inc., has been moved by the advice of motivational speaker, Tony Robbins about understanding people’s basic motivations, such as issues of certainty, uncertainty, significance, love, connection, growth, and contribution. “I use [Robbins’ advice] every day in my consulting and my day-to-day activities so I can understand someone’s motivations, and temper my frustration with bad behavior,” said Blander. “Don’t try to find a solution until you’ve understood the problem,” advised a veteran IT executive to Norman D. Marks (@normanmarks), VP, Evangelist for Better Run Business at SAP. “From an IT security perspective, this means that you need to understand the risk before determining the level of security measures to apply,” said Marks. When Marks was at Solectron, the lead managers for both physical and IT security wanted Marks to solicit funds to encrypt all the executive laptops across the company. While that sounded like a worthwhile endeavor, Marks asked if they had completed a corporate-wide information security risk assessment. They hadn’t. Instead of just accepting the seemingly reasonable request, Marks researched the situation only to discover that basic user access provisioning was broken. “They wanted to close the windows when the front and back doors were open,” realized Marks. “Never be afraid to discuss the simplest things—things you may think are already known, or that you consider common sense—and repeat them frequently,” said Aryeh Goretsky (@goretsky), Distinguished Researcher at ESET. Instead of chasing the latest and greatest threat, a common practice in the security field, you can be far more effective just educating personnel about simple secure practices, over and over again, said Goretsky. “No one in your organization will care about data security, privacy policies, intellectual property protection, or data breach until you tell them why it’s important, how it can impact them, and then tell them what to do to prevent it,” advised Howard who suggests basic training, such as a webinar, to explain how they personally can protect themselves and their company from data theft. What you ultimately want to do is create a mutually beneficial privacy culture that can be applied to both your business, and the employees’ personal life, said Howard. “Trust no one, especially yourself. Check, recheck, check again,” was the advice a physical security professional gave to Catalin Tutunaru, a freelance ICT consultant. The advice has been a backbone of Tutunaru’s consulting business as he realizes there’s an inherent unavoidable weaknesses in the people hired to protect networks. “The ICT community is very young and the experience collected is much smaller than the power they control,” Tutunaru said. “You won’t be truly appreciated until you manage a security breach,” said Sean Jackson (@shunkydave), Security Engineer at DigiCert who learned that advice from a fellow security professional. “I immediately changed my focus from preventing the unknown to preparing to manage what I did know,” said Jackson. While working at @stake, a security consultancy Jaquith helped found in 1999, he learned from his colleagues and watching guys at the hacker collective, L0pht, to always put yourself in the attacker’s shoes when thinking about security. “It’s not about checking the box, making the auditor happy or following ‘best practices.’ It’s about repelling the wily hacker,” said Jaquith who used this ‘put yourself in the attacker’s shoes’ attitude to work, by trying to break into systems. Not all backups are equal though. For months, Jay Walker (@Conteggo) was backing up his laptop on a thumb drive and kept both the laptop and the USB drive in his laptop bag. He was so proud of himself for being so conscientious until a stranger advised him as to how foolish a practice that was. If he ever lost that bag, he’d be fried. Soon after that conversation, that scenario, through theft, happened to a family member. That stranger’s advice indirectly led to him launching his online backup service company, Conteggo. “Never assume anything you put on the Internet is private, even if it hasn’t been shared with anyone,” said Josh Ogle (@joshogle), Founder of Fresh Spin Advertising who believes this personal tenet has had a demonstrable impact on his business and career. Working in advertising, Ogle has clients who entrust their very sensitive intellectual property to his company. When they pitch a client they make it clear they will never put anything sensitive of theirs online, and he knows of two occasions where that differentiator led companies to choose his boutique ad agency over competitors. “When security gets in the way of the mission, security is wrong, not the mission,” said Keith Palmgren (@kpalmgren), President of NetIP. Watching others make this misstep many times, Palmgren quickly learned that repeatedly hindering the business with security can be a career limiting move. When Patrick C Miller (@PatrickCMiller), President and CEO of the Energy Sector Security Consortium, was a young and overzealous security pro, an executive at another company once said to him that his answer to every project, initiative, and “Can we do this?” question was always “no.” Eager not to be hindered by security, the executive challenged Miller. “What I want to hear is: ‘yes, if’ instead of ‘no,’” said the executive. Miller finally realized that the organization is balancing risk in order to profit and it changed his complete outlook of how he communicates. “I was finally able to speak to the executive layer in a language they would understand and respond to – which never happened when I spoke in technical security terms,” Miller said. “You have to accept that fact that as a security professional you can’t always get what you want, but you can help the business get what it needs,” said Andrew Storms (@st0rmz), Director of Security Operations for nCircle, who had a similar enlightened experience as Miller. “Your job as a security professional is to in help the business understand the role information security risk plays in the way your specific organization conducts its business,” said Storms who now thinks more strategically about how he frames conversations about security with executives. Similar to the previous tip is the importance of first knowing what you’ve been hired to protect. “It’s important to understand the business before you can secure it,” said Terry L. Perkins, who does information security at a large resell bookstore. Heeding advice from notorious hacker, Kevin Mitnick, Bill Bernat (@microvation), Web Publisher at OpenText, focuses on basic password security. For starters that means use unique/random passwords – no “God” passwords for multiple accounts, no writing passwords on PostIt notes, no sharing passwords, and no saying them out loud on the phone or over email. For Bernat, the advice has meant he’s never made any huge mistakes. “You could build the most brilliant system ever and if you don’t make backups or change the default password that could kill your career in an afternoon,” warned Bernat. Even if you’re a small company that doesn’t fully understand how your IT project functions, don’t give all the power to a programming consultant, advised Diana Moy (@arteefact), Visual/Information Designer at Artefacts.us who has seen her clients’ operations be completely vulnerable to the unpredictability of a consultant. You never know what could happen, said Moy. A programmer could get sick, disappear, or simply walk away with your code and content. Protect your business by setting up your system so that you have master control over the web server and database. “If you’re an IT professional, make sure you give this advice to your client. It’s a good way to build trust,” said Moy. “While I do not underestimate the need for solid IT security measures, I also know that you can overdo it,” said Gyutae Park (@MoneyCrashers) Head of IT for Money Crashers Personal Finance. Even after covering all the basics of securing his network, Park still gets solicitations from software sales reps telling him about the importance of a certain product or why he needs to install a certain piece of software. One hundred percent security is an impossibility as most security pros have come to accept. “If someone wants to break in bad enough, eventually they will,” said Dave Sroelov,President at A & S Computer Services. “Make the effort of breaking into your systems and data much higher than any potential rewards gained by it,” said Matthew Hemmings (@RockfordIT), 3rd Line Technical Support/Systems Team at Rockford IT. We focus so much data security effort on the equipment that’s currently being used to access our network. But what about the devices that are no longer sharing data, but have data on them, such as old cell phones, photo copiers, computers? “While this data may have been stored in a hardened, protected environment through its lifetime, [but once decommissioned] it would now be in the wild and open to anyone with the know-how to recover improperly-wiped data,” said Brian Brundage, CEO of Intercon Solutions. “Dispose [your devices] through a process that tracks and verifies the destruction of your data, from pick-up to physical destruction,” said Brundage whose company offers this very recycling service. While all of this security advice is useful, it’s important to understand that security is not one person’s job for others to not worry about. It’s everyone’s responsibility and therefore everyone is susceptible to the same weakness. 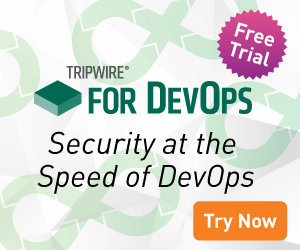 “We can have the best policy, the best processes, and the best procedures using technologically sound tools yet still be vulnerable to the biggest security problem of all – humans,” said Adam Montville (@adammontville), Security and Compliance Architect for Tripwire. Conclusion: What’s the best infosec lesson you’ve learned? Still, with all the advice we know that’s missing, we wrote this article in an effort to share the knowledge, wisdom, and experience of fellow IT security pros, and we hope it sparks a discussion here in the comments. Please, if you’ve got a piece of advice that tags on to one of the above 20 tips or is one of your own, let us know. We’d all like to learn and better protect ourselves and our businesses. Thank you.